Lamb can be a little gamey in flavor, but when seasoned and prepared well, it is much more approachable. Rosemary is one herb that goes extremely well with lamb. For these lamb chops, garlic, rosemary and thyme are combined to make a paste that infuses the lamb. After marinating for an hour, they're brought back to room temperature and grilled. The best part is that these come with a built in handle. 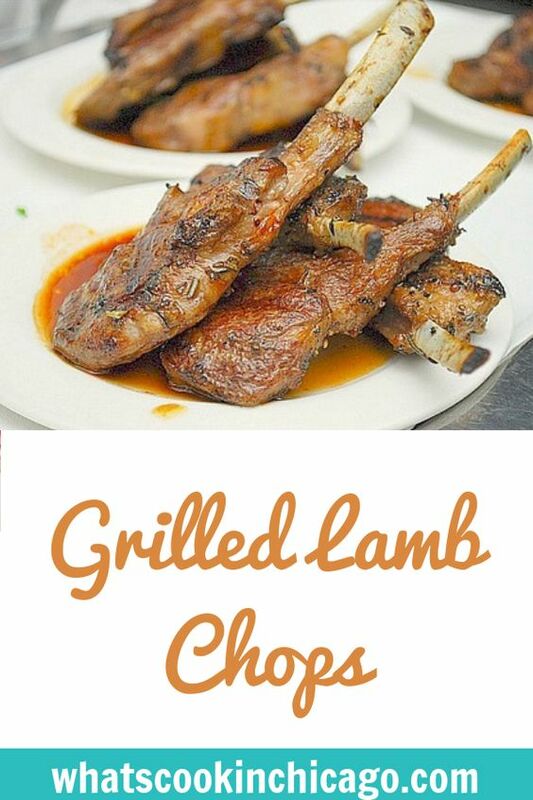 The chops are small enough for a couple bites and made easy to enjoy with the bone as a handle. A word of caution - you'll want to double or triple this recipe because they get eaten up pretty quickly! In a food processor fitted with a metal blade add the garlic, rosemary, thyme, cayenne, garlic powder, onion powder and salt. Pulse until combined. Pour in olive oil and pulse into a paste. 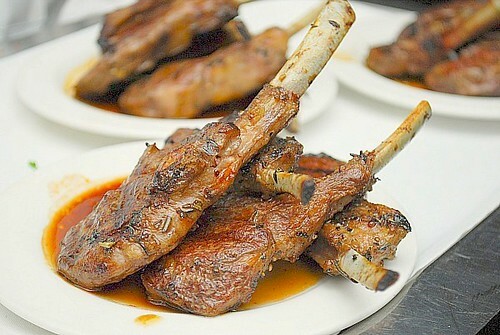 Rub the paste on both sides of the lamb chops and let them marinate for at least 1 hour in the refrigerator. Remove from refrigerator and allow the chops to come to room temperature; it will take about 20 minutes. I never did understand people that say, lamb has a gamey taste. In my mind, lamb just has a different taste, the same way pork tastes different from beef. It is a wonderful taste, and although I always enjoy my own method of cooking lamb chops, I'm definitely going to try your recipe! They look fabulous! Thanks for posting this recipe!!! I agree with PBSwine. I love lamb chops and don't think they taste gamey at all. We're grilling some chops tonight so I was looking for something different and here I find it. This looks wonderful and just the seasoning I was looking for. Thanks for posting!